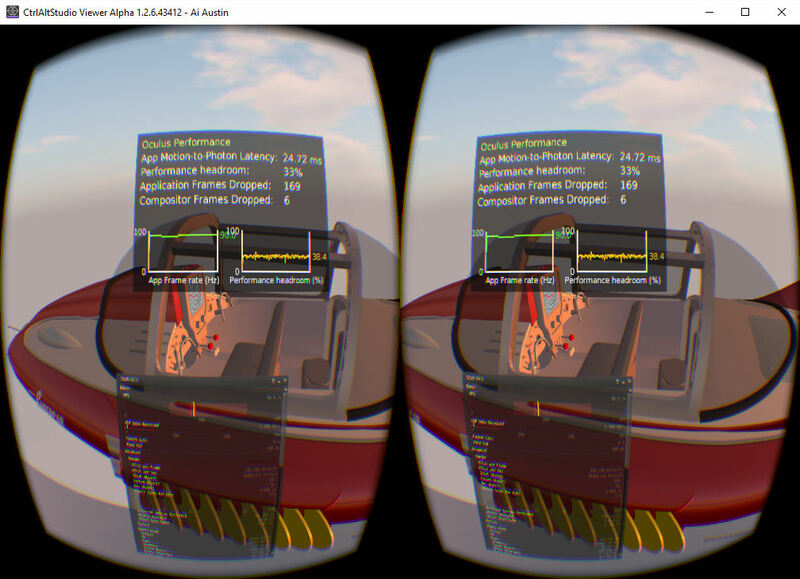 CtrlAltStudio viewer 1.2.6.43412 has provided 3D/VR access for the Oculus Rift in Second Life and OpenSim. 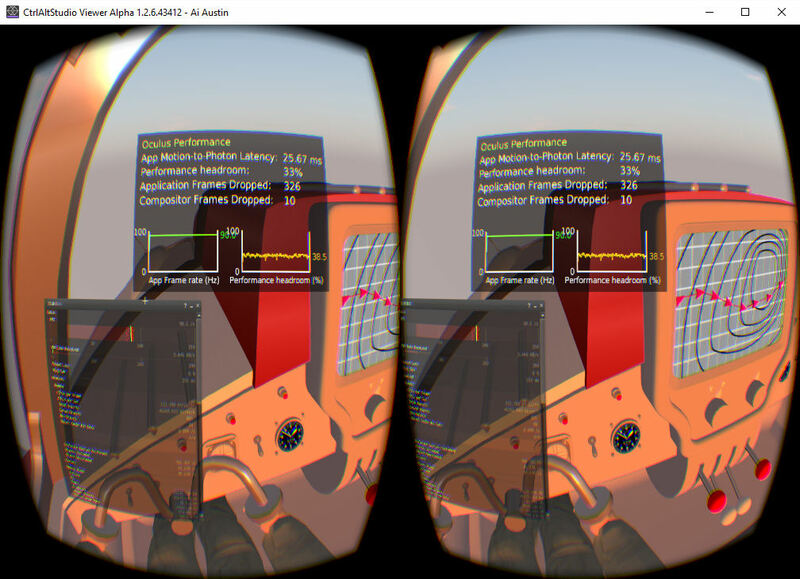 With “Ultra” graphics levels (including shadows) and 256m view distance, the performance is excellent and with exterior or interior viewpoints in VR mode can achieve 90FPS on an Oculus CV1 and reports 90.8FPS in the CtrlAltStudio viewer statistics bar (ctrl+shift+1). 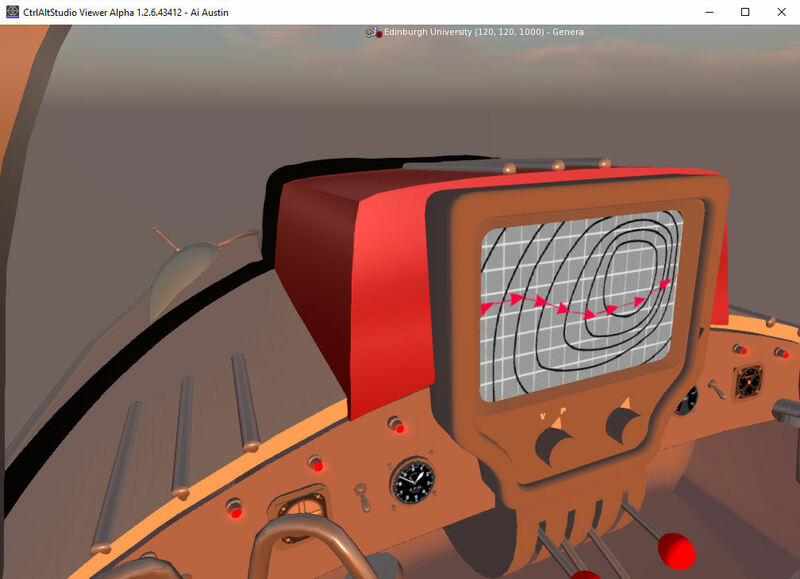 The test region in Second Life contains the Supercar (Collada) mesh model and a few platform objects with a total of 715 or equivalent land impact. More information on the Supercar mesh model is in this blog post. The original mesh has 178,595 polygons, 122,901 vertices. 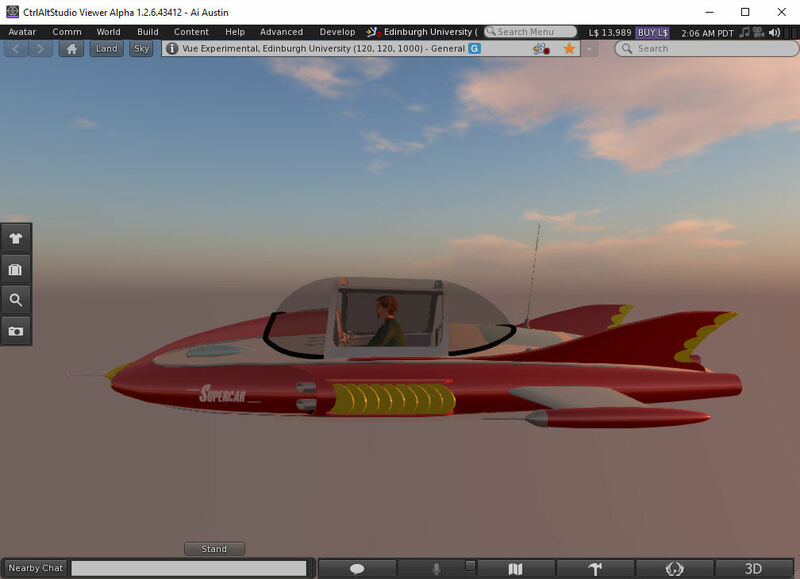 This entry was posted in Gerry Anderson, Oculus, OpenSim, Second Life, Supercar, VR and tagged Gerry Anderson, Oculus, OpenSim, Second Life, Supercar, VR. Bookmark the permalink.